Located in the Underground, REVIV is a novel concept in elective hydration and vitamin & nutrient therapy. Their certified medical staff offers 5 different hydrating IV Infusions and 4 different energy & wellness Booster Shots. These wellness treatments will replenish, restore and revitalize your wellness during your stay in Las Vegas. Concierge in-room service is also available. 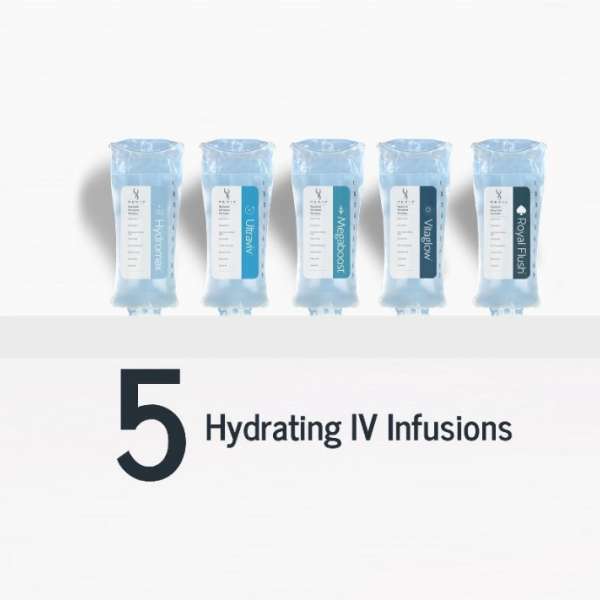 Our 5 proprietary IV Infusions cover a variety of wellness needs by replenishing hydration, aiding recovery from illness or jet lag, providing hangover relief, restoring vitamin & nutrient levels, refreshing cosmetic appearance, and revitalizing your overall wellness. Athletic activity drains the body of hydration & salts and generates toxins. Our Hydromax IV Infusion rebalances your body with fluids fortified with electrolytes and antioxidants to maximize athletic performance. Sleep deprivation, excessive workload, dehydration and overindulgence of nightlife can often result in fatigue, decreased concentration and you feeling run down. Our Ultraviv IV Infusion refreshes your body to help you recover from the toughest of days and nights. To radiate on the outside, you must be balanced on the inside. Our signature vitamin and nutrient infusion, Megaboost, restores your body with minerals, different anti-oxidants, electrolytes to bring your body back into equilibrium, maximizing your productivity, leaving you feeling healthy and refreshed. Beauty is more than just skin deep. Our Vitaglow IV Infusion rejuvenates your skin with high doses of the master anti-oxidant Glutathione to help you glow and stop time in its tracks. Living life to the extreme calls for the ultimate recovery. 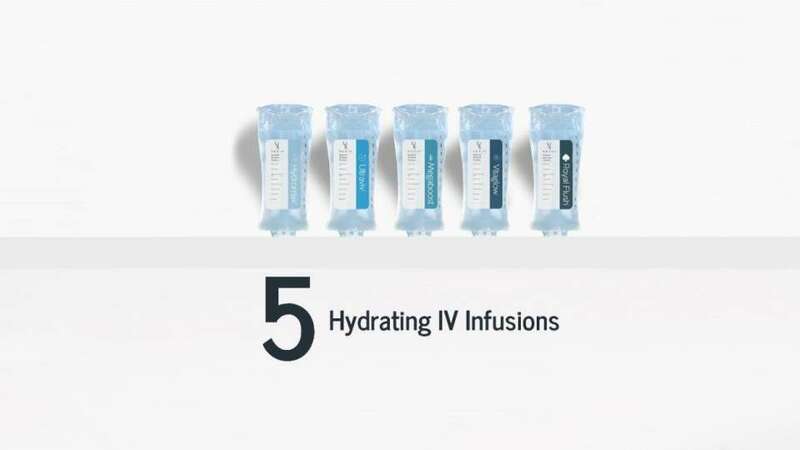 Our premium IV infusion Royal Flush combines the recovery benefits of Ultraviv with the cleansing effects of Megaboost giving you maximum productivity and detoxification. 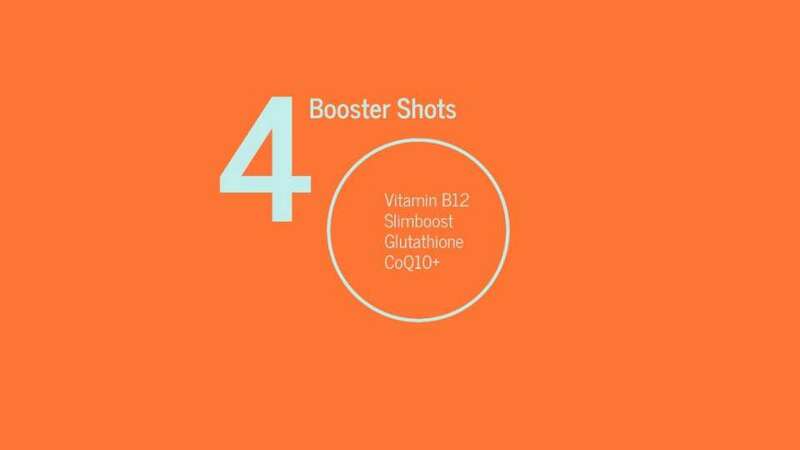 Our 4 signature Vitamin & Nutrient Booster Shots include Vitamin B12 to increase energy, Slimboost to assist with natural metabolic weight loss, Glutathione to promote overall wellness, and CoQ10+ to power your fitness regiment. Daily routines can be energy draining. Vitamin B12 recharges your energy and allows you to tackle life head on. Maximize your metabolism and physique goals. Our Slimboost injection stimulates fat burning and promoting natural weight loss. Wellness and balance are keys to maintaining a healthy lifestyle. Glutathione is an essential element for your wellness. Stay competitive with an extra edge. 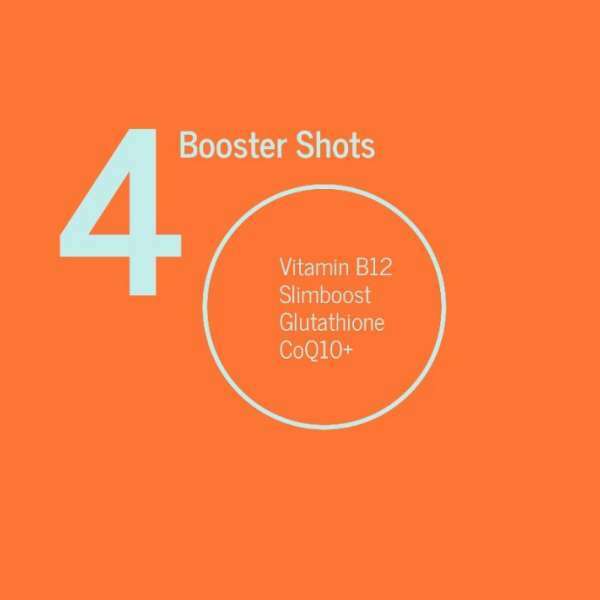 Our CoQ10+ Booster Shot contains vitamins and Co-enzyme Q10 that provide you with a power boost to tackle the toughest physical activity and promote recovery. 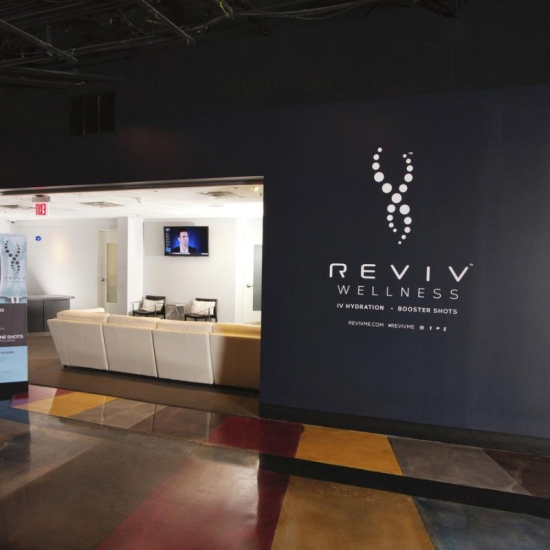 REVIV Wellness is located in The Underground at MGM Grand. Walk through the hotel lobby and head towards The Underground. Take the escalators down and walk past Pieology and continue to Brad Garrett's Comedy Club and REVIV Wellness is on the right-hand side, across from the Comedy Club.